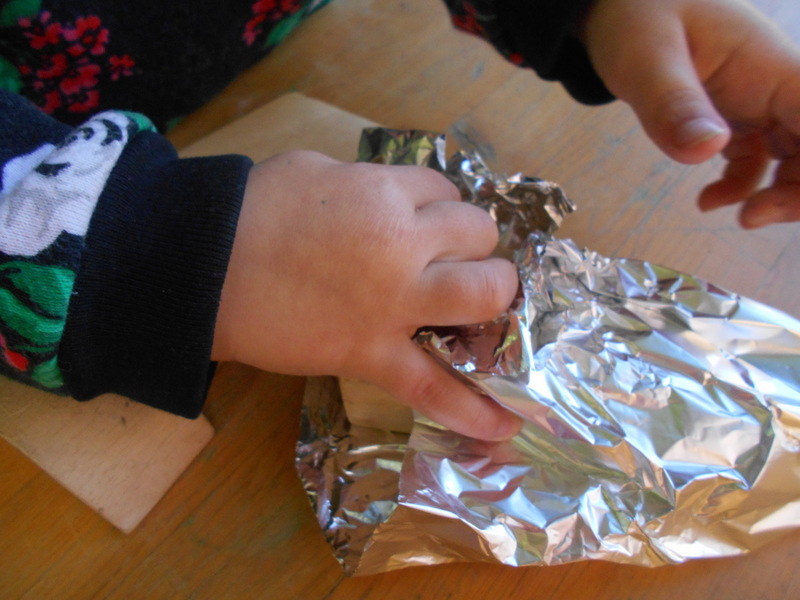 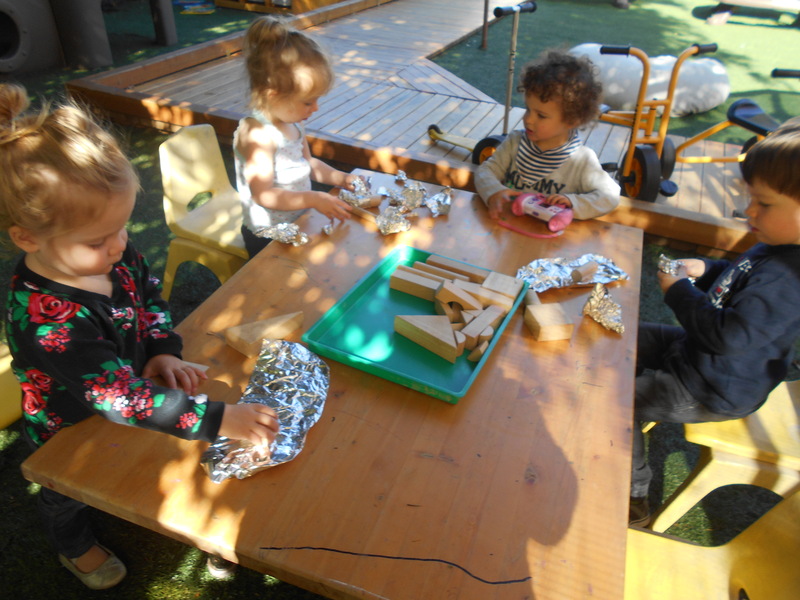 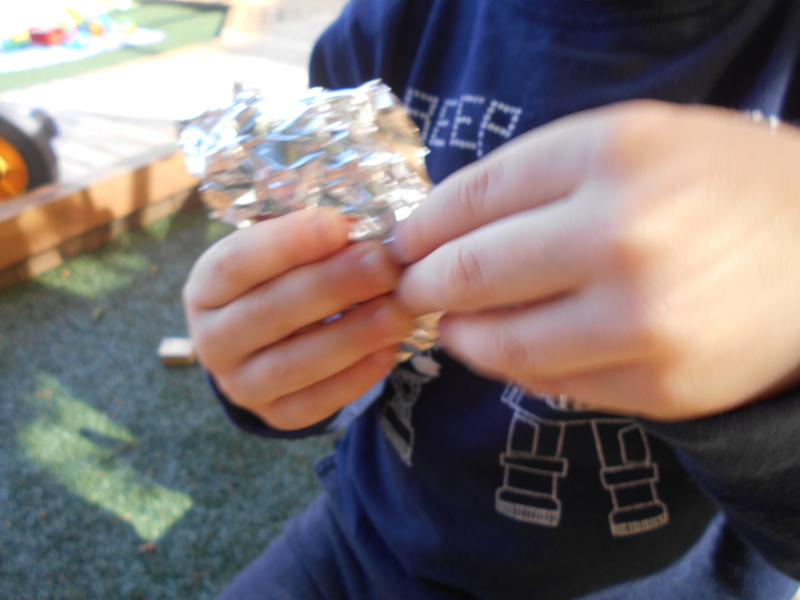 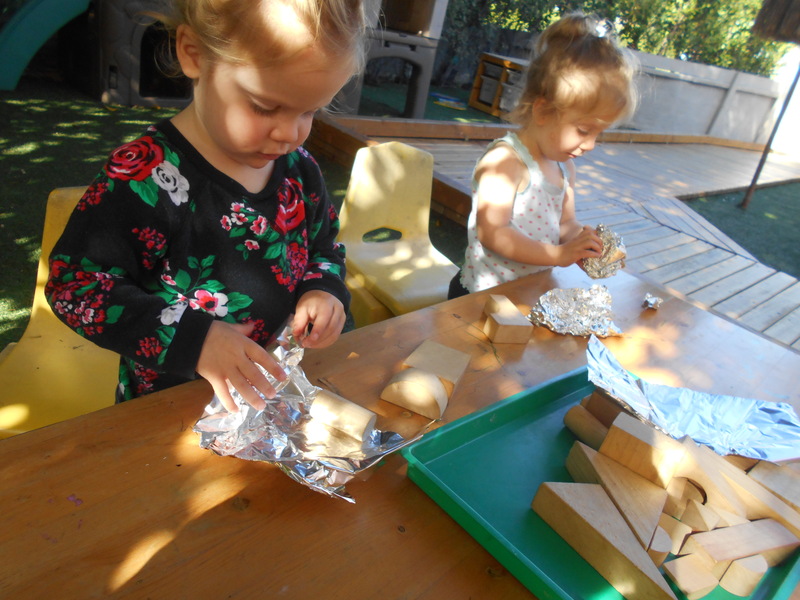 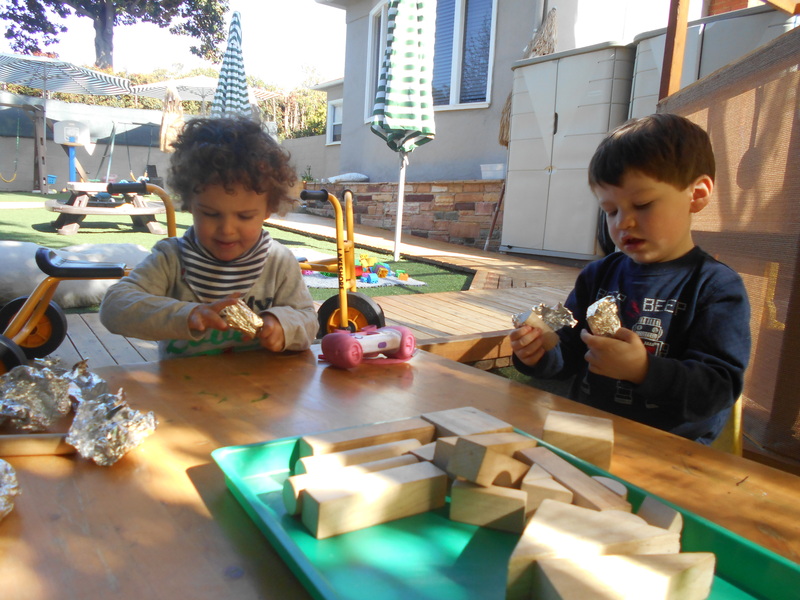 The children had a great time wrapping blocks with Foil paper. 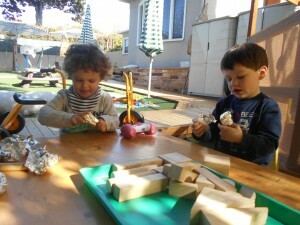 They practice their language skills and motor skills while having a fun time with their friends! 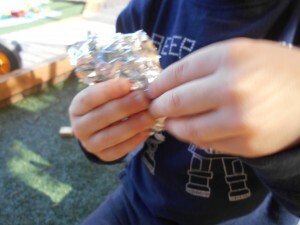 The children were able to express themselves.